When I learned that I was going to spend the next two years in the Middle East, I had visions of camels in the streets, sunsets over the dunes, and markets. 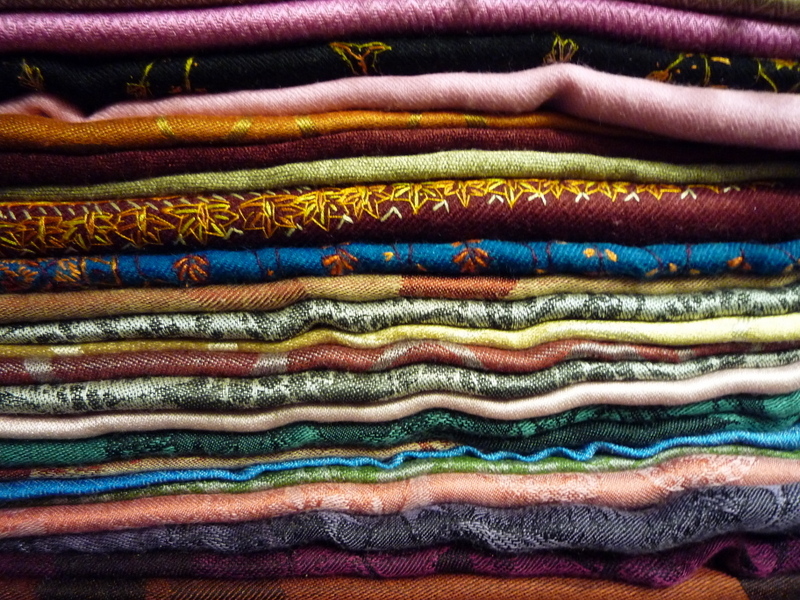 Markets filled with the vibrant colors of spices in barrels, stacks of pashminas in rainbow hues, and piles of glinting gold and silver jewelry. Abu Dhabi is not like the Middle East of my vision in that regard. The traditional souk has largely been replaced by the shopping mall and spices are sold at the grocery in the neat little bottles imported from the United States. That’s not to say that souks don’t exist, but one does have to search a bit harder to find them. 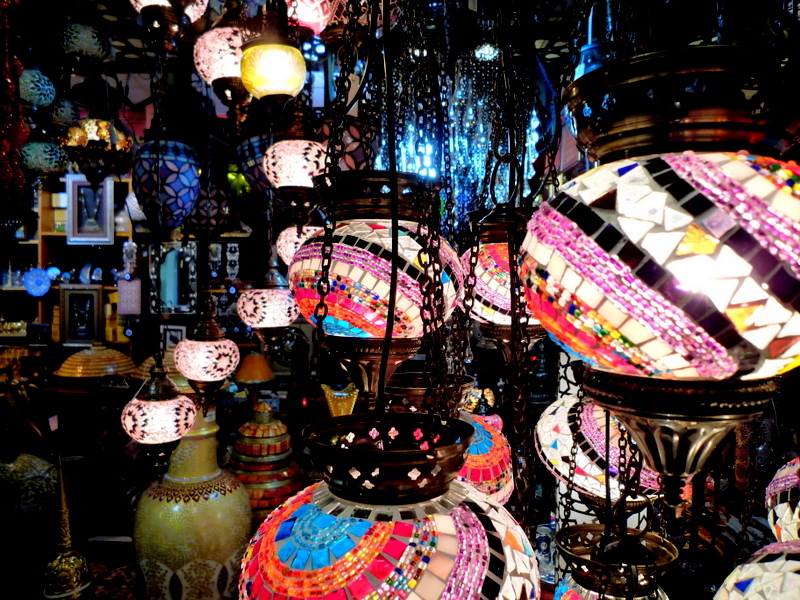 My friend told me about a more traditional souk located in Sharjah, east of Dubai and about two hours from Abu Dhabi. We made a plan for a weekday road trip and drove over to the Sharjah Central Market, or The Blue Souk, as the locals call it, due to the hundreds of thousands of blue tiles that cover the building. The Blue Souk is open Saturday through Thursday from 10am onward, with a brief closure during the mid afternoon rest time. 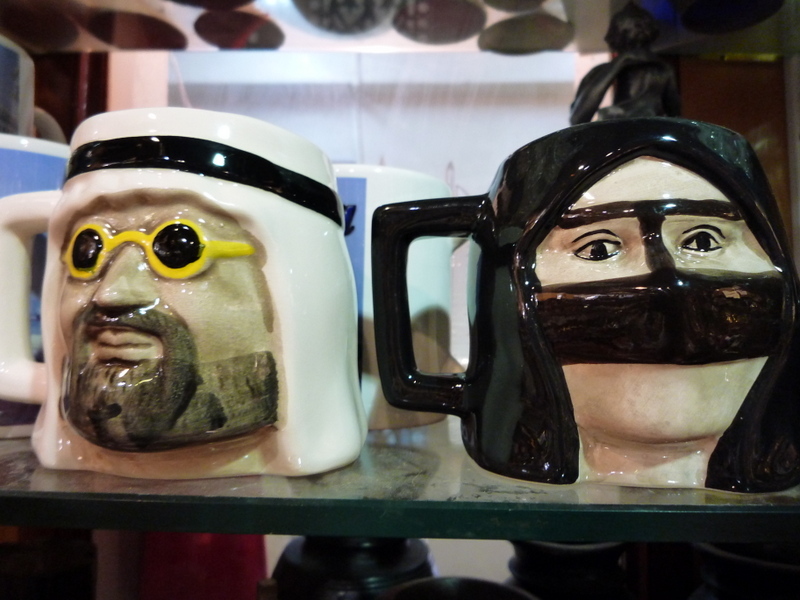 Also bear in mind that Sharjah is the most conservative of the emirates, and modest dress is a must here. The main floors of the two buildings had me a bit disappointed at first glance. It seemed like all the other air-conditioned souk-malls that I had seen previously. The shops consisted mainly of traditional Arab clothing makers, jewelry shops selling very expensive gold items, and shops offering Western clothing, shoes and accessories. However, all one needs to do is head to the second floor where the aisles narrow dramatically, and the shopkeepers lurk by the doorways to hawk their wares. 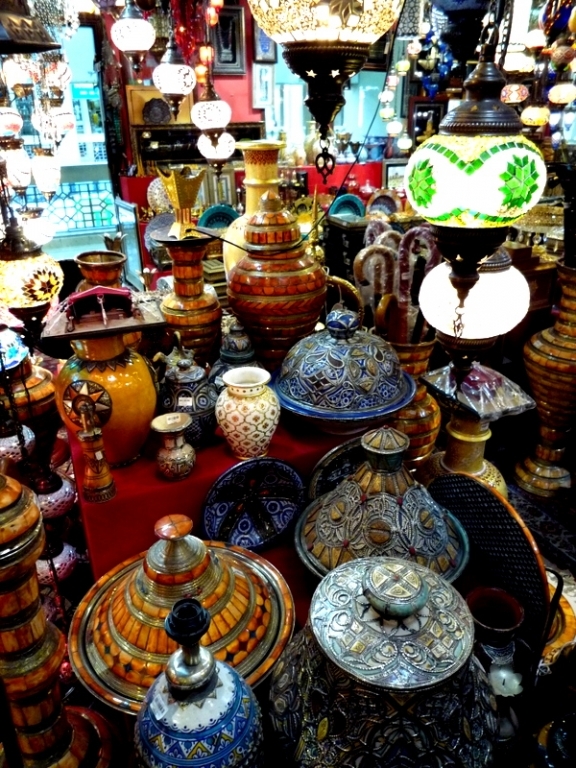 Here you will find carpets from Iran, lamps and glassware from Turkey, Bedouin jewelry, Indian pashminas, antiques and enough other items from around the region to satisfy any shopping addiction. Of course, bargaining is the rule here and, while time consuming, it really is an experience to delight in. The main rule of thumb is to accept the tea, coffee or sweets you are offered, smile, and get down to business. After you select the items you are interested in, the proprietor will name a price, either verbally or via calculator. If you feel that the language barrier is indeed a barrier, then feel free to use the calculator to counter-offer. In either case, offer half of the asking price and negotiate from there. It always helps to have an idea of the price before you begin shopping, but I found the shopkeepers to be very willing to accept a very fair final price. Ideally you should plan to spend at least a few hours here. 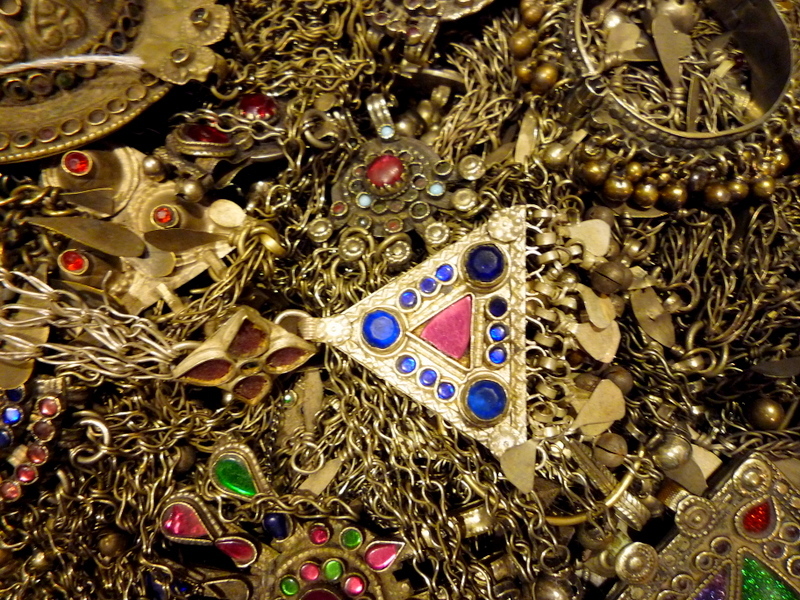 It is incredibly easy to get lost in the piles of jewelry, the artifacts and the rolled carpets stacked to the ceilings. 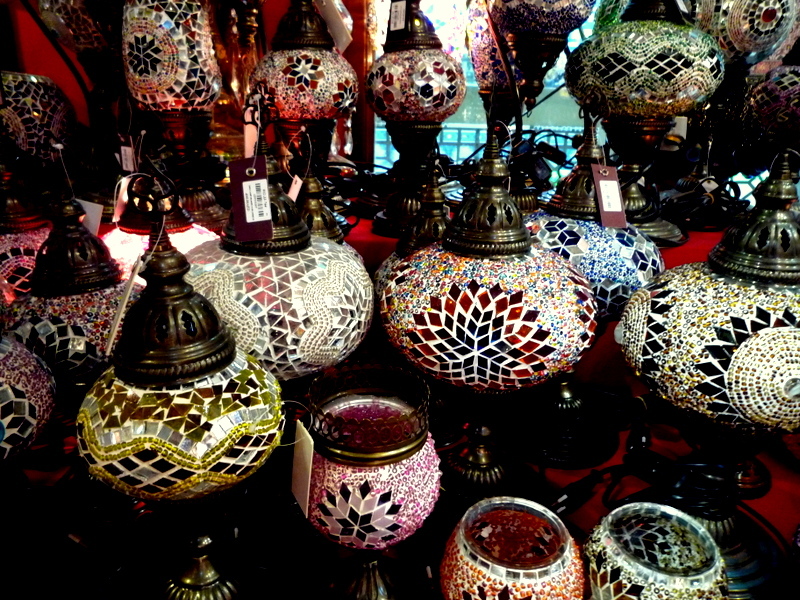 The shops specializing in the lamps from Turkey definitely require extra time, if only for the photography opportunities. There are several options for food and snacks located on the main floor and prayer rooms are located throughout the souk. 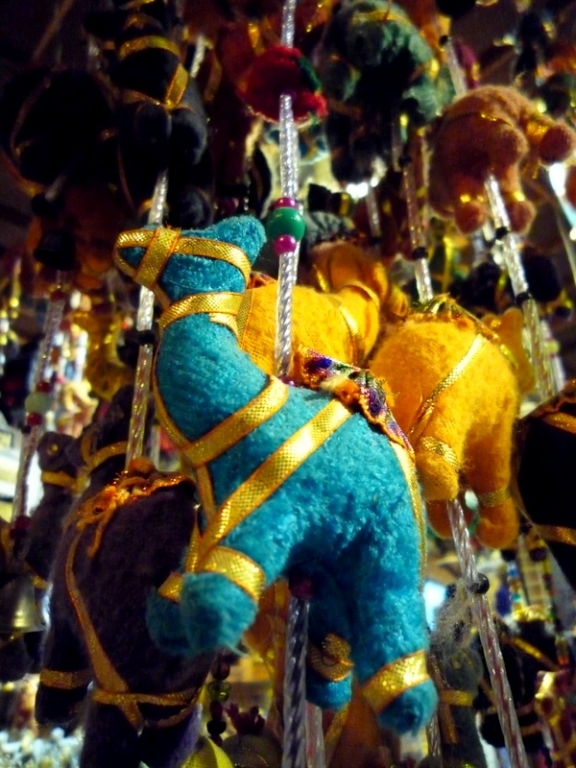 The Blue Souk certainly warrants a visit if you find yourself in Sharjah. 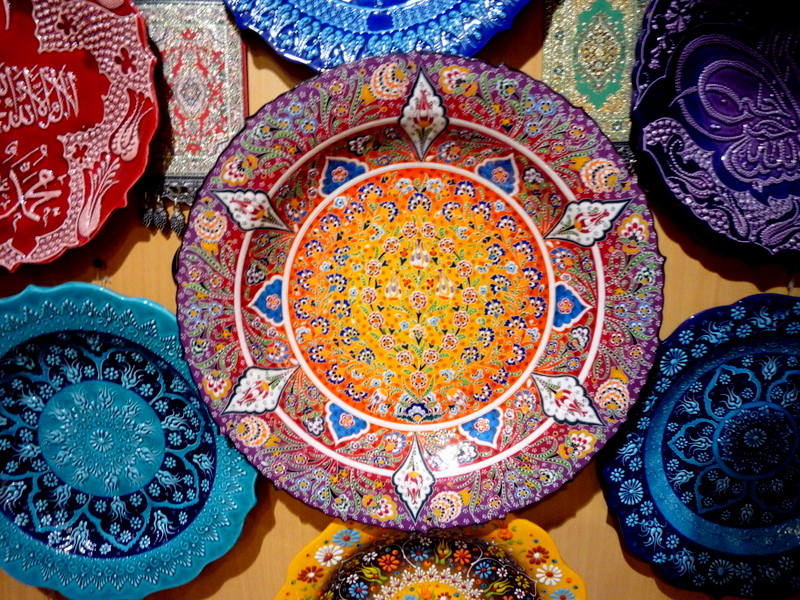 If you’d like to decorate your UAE home with Middle Eastern treasures or want to purchase souvenir and gift items for your friends and family, you will easily find those things here. Simply be prepared to bargain, and your shopping experience is bound to be a delightful one. The plates and lamps are amazing! I’d bet the rugs are just as beautiful.